Lovely Two Family home. First floor offers 4 rooms, 1 bedroom and full bath. Second floor offers two floors of living space, 6 rooms, 3 bedrooms, enclosed sunporch and full bath. Both units offer eat-in kitchens, formal dining rooms, updated electric panels and vinyl tilt windows. 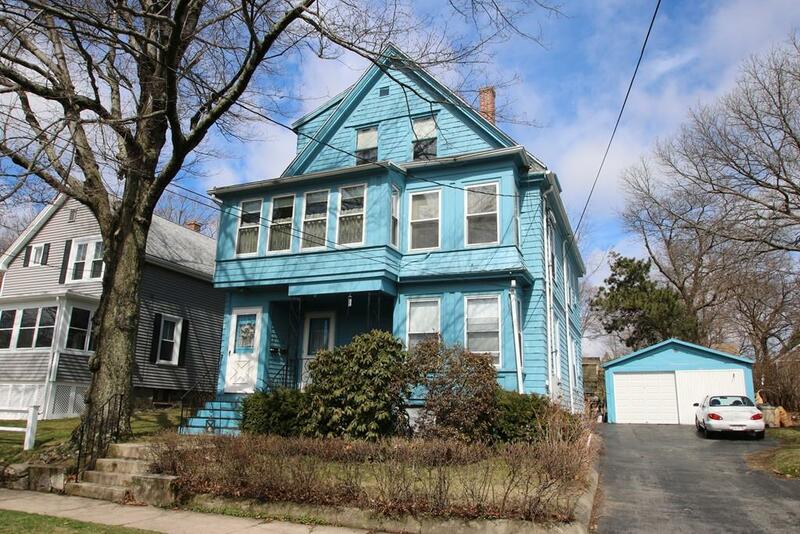 Full basement, separate utilities, great yard, two car garage (one door opening), lots of off street parking, convenient location on side street, close to public transportation, Rte 1 and shopping. Showings to begin at group showings Saturday April 6th & Sunday April 7th Offers, if any, due Monday, Aprll 8th by 12:00 noon.